With a diverse range of influences and a South of the Border sense of humour, this stylish outfit like to shake it up on stage with a cocktail of rockabilly classics and blues shouters mixed with high heels. 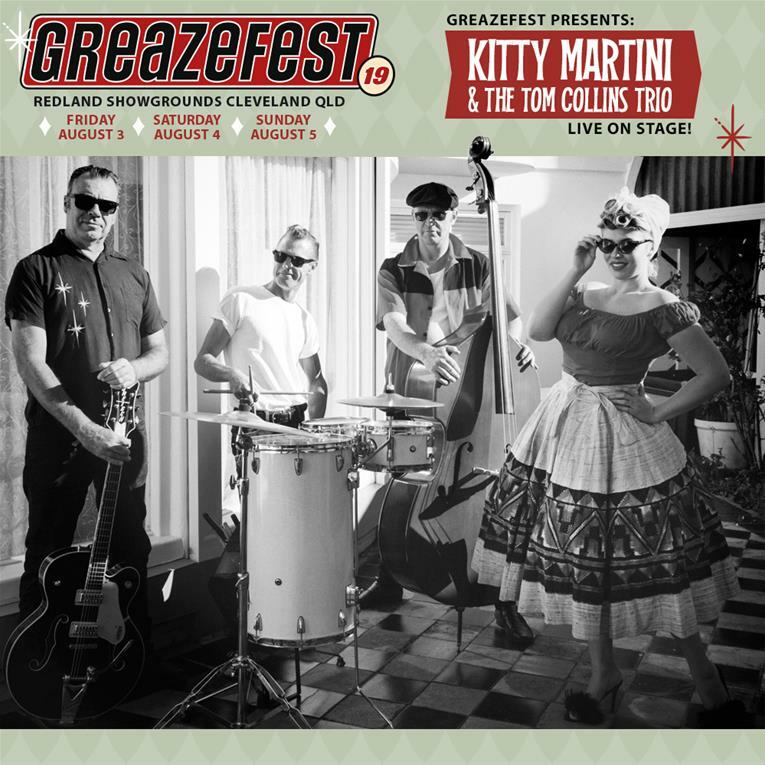 Kitty Martini runs a vintage beauty salon by day and has assembled a talented trio of musicians to join her for when the evenings start to swing. Be sure to catch their debut visit to GreazeFest on Friday August 3. Advance discounted tickets are on sale now.